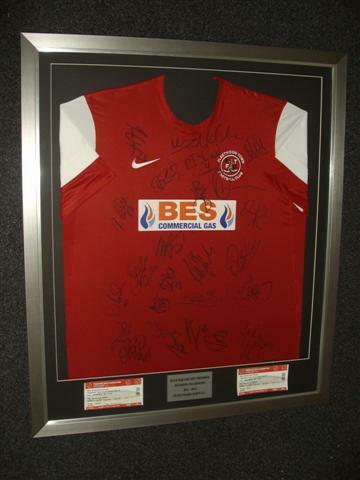 Looking To Have A Fleetwood Town Football Shirt Professionally Framed? We can even collect your shirt from your home or office in Fleetwood and re-deliver your framed shirt back to you once completed - at no extra cost! 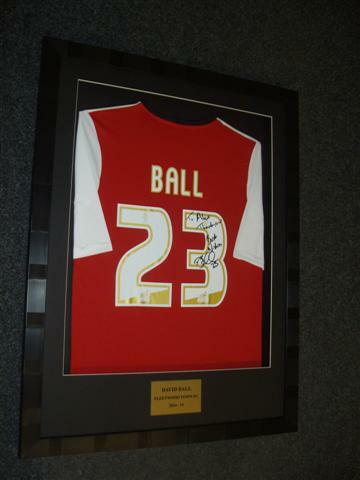 Are you looking to frame your treasured Fleetwood Town football shirt? If so you have landed on the right site as we have some extra special offers available purely on the framing of Fleetwood shirts. Size irrelevant - S/M/L/XL/XXL - all the same price! If you are serious about quality sports shirt framing then - ''Look For The Logo'' - The sign of a quality job. We believe we are unbeatable for quality professional sports shirt & all sports memorabilia framing.